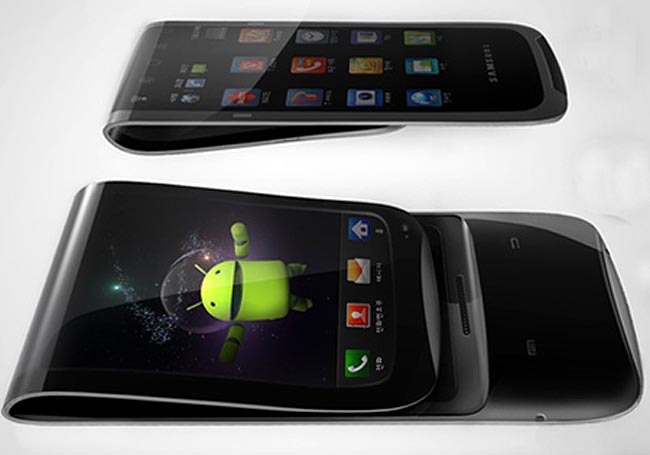 Designer Heyon You recently unveiled the Samsung Galaxy Skin - a revolutionary concept phone outfitted with a flexible <a href="http://en.wikipedia.org/wiki/Active-matrix_OLED">AMOLED</a> screen that can be folded to unlock a remarkable range of functions. 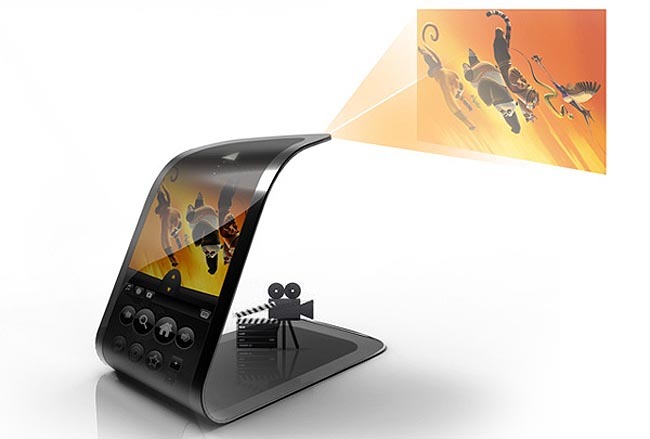 The bendable device is designed to project video, can be folded in half so that it stands up for video chatting, and can even be <a href="http://www.ecouterre.com/flexible-oleds-could-lead-to-sony-computer-bracelets-by-2020-video/">wrapped around your wrist like a bracelet</a>! Taking cues from Gumby and Pokey, You's ultra slim cell phone can be bent and flexed to serve as a wide range of different gadgets. Samsung has been hard at work on prototype AMOLED displays, so You's Galaxy Skin could one day be a reality. 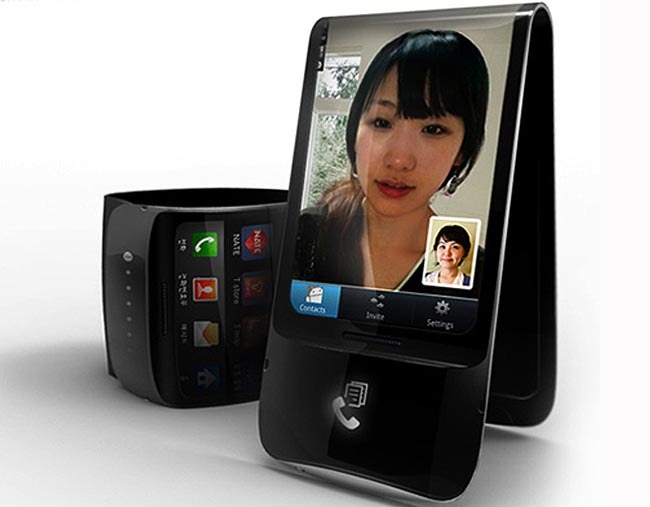 Folded in half, it can sit on your desk so you can comfortably video chat, hands-free. Fold the ends inward, and the device can sit on your dashboard and serve as a <a href="https://inhabitat.com/i-go-ebike-concept-powers-you-through-the-city-and-charges-your-smartphone/" target="_blank">GPS tracker</a>. 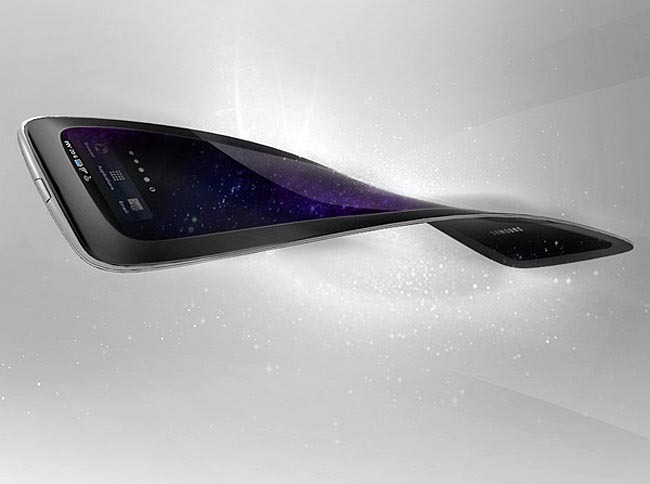 Bent backward, the Galaxy Skin can project your jpegs and Power Point presentation at a business meeting. Sit the <a href="https://inhabitat.com/nokero-solar-chargers-lets-off-the-grid-consumers-charge-their-cell-phones-without-electricity/" target="_blank">phone</a> on its side and it turns into an alarm clock you can see in the dark. 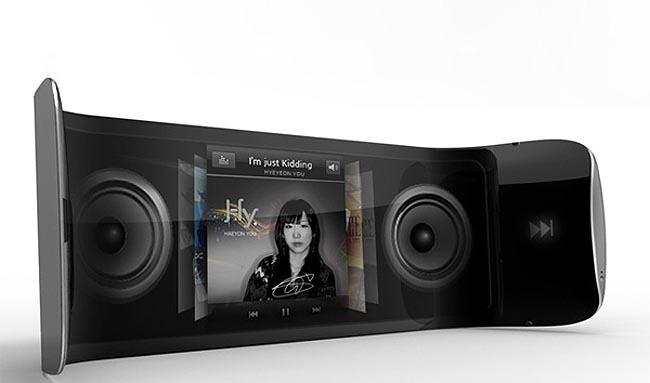 The interface can be used to create a personal <a href="https://inhabitat.com/sennheisers-eco-vinyl-turntables-are-both-environmentally-and-budget-friendly/" target="_blank">tabletop stereo</a>, to play your mp3s. 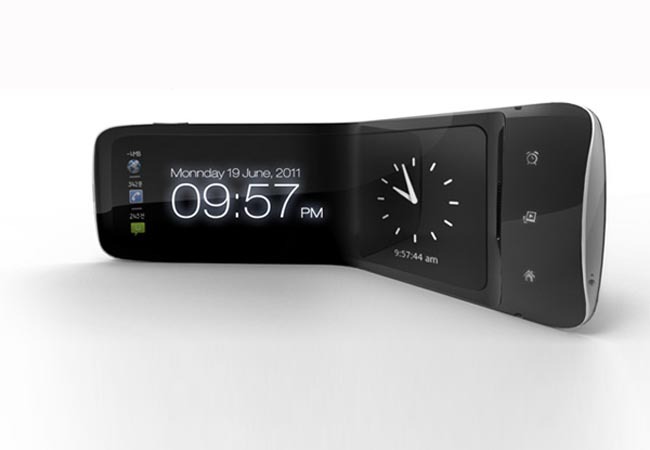 You’s design even includes a multi-projector and a mini camera, to project movies onto any nearby flat surface. The fashion-forward can wrap the flexible phone <a href="https://inhabitat.com/yves-behar-and-jawbone’s-“up”-is-an-app-powered-wristband-promoting-healthy-living/" target="_blank">around their wrist</a>, creating the smartest watch known to man. The flexible skin doesn’t just change the convenience of the <a href="https://inhabitat.com/belgrade-students-design-solar-powered-cell-phone-charging-station/" target="_blank">smart phone</a>, but how the user controls the interface. By shifting shape this a smart phone can transform into a variety of usable devices, making it a multi-media powerhouse you can fit in your pocket. 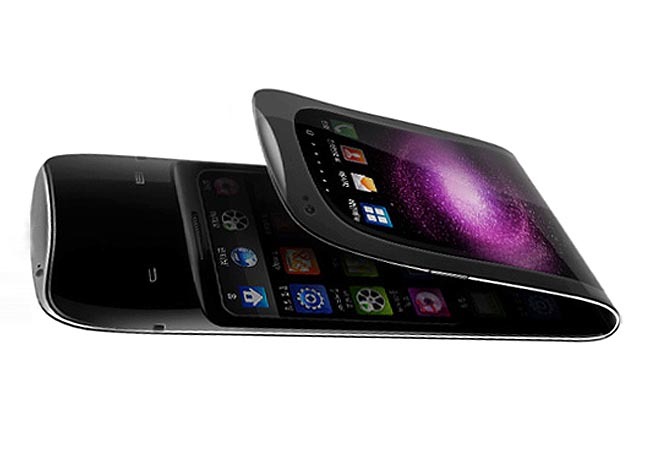 Designer Heyon You recently unveiled the Samsung Galaxy Skin - a revolutionary concept phone outfitted with a flexible AMOLED screen that can be folded to unlock a remarkable range of functions. The bendable device is designed to project video, can be folded in half so that it stands up for video chatting, and can even be wrapped around your wrist like a bracelet!